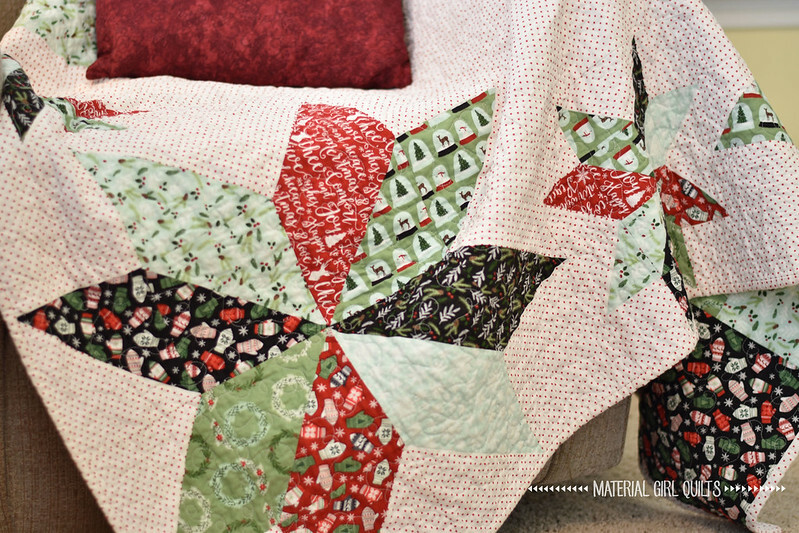 Today I'm so happy to be sharing my latest quilt finish as part of Riley Blake's Comfort and Joy blog tour. This Christmas line is great with the classic red and green but the addition of aqua and black made it too cute for me to resist. 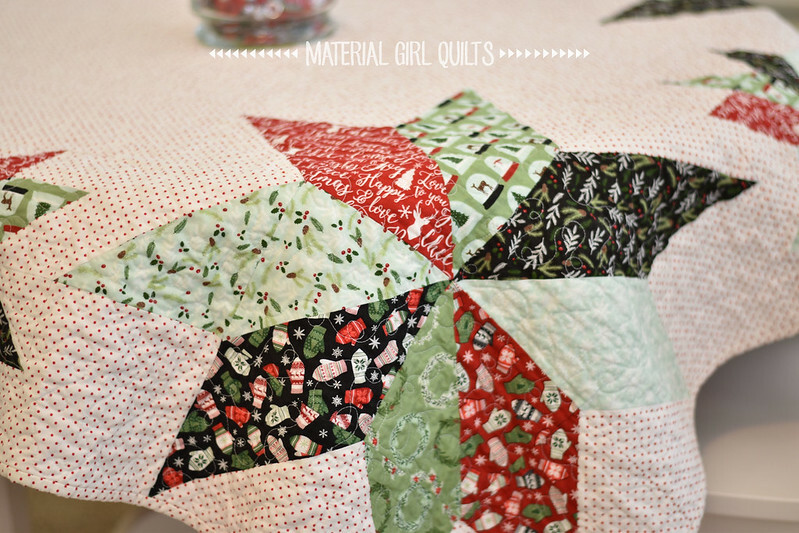 When designing a quilt to use with these fabrics, I kept going back to my Star of Wonder tree skirt and table topper pattern, but really wanted a quilt instead of a tree skirt. So, after a little pattern hacking, I came up with this design that reminds me of a wreath. The red swiss dots as a background might be my favorite thing about this quilt. I'm a sucker for dots! We took the quilt to my parents house for photos because they have awesome light in all of the rooms of their home. Look how perfect it looks on their table! If you'd like to make a Star of Wonder quilt of your own, I will have the pattern 50% off through July 1. Below is all of the information you need to adjust the pattern instructions to make this quilt. From each fat quarter, cut four (4) - 7" squares and four (4) - 4" squares (cut according to the diagram below. 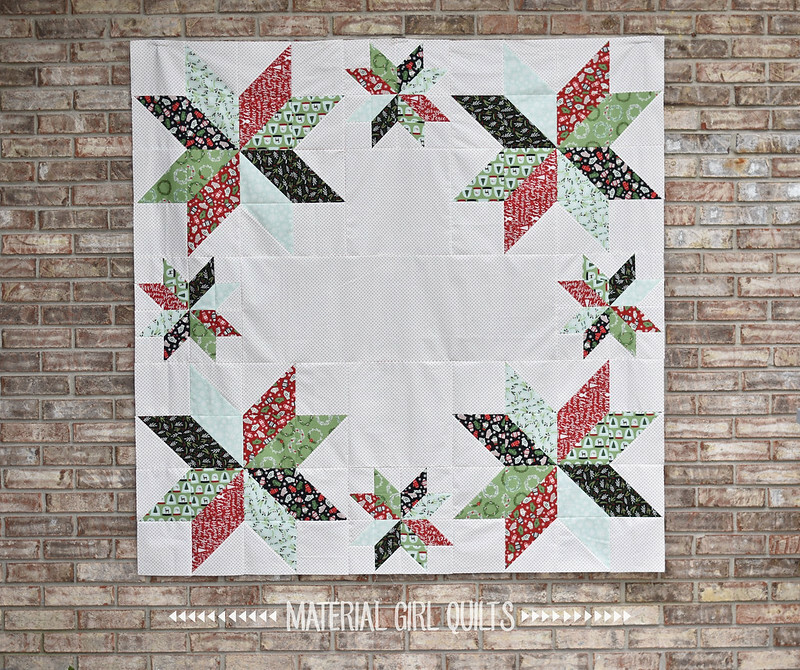 Use the pattern instructions to piece a total of four (4) small 12" finished stars and four (4) large 24" finished stars. 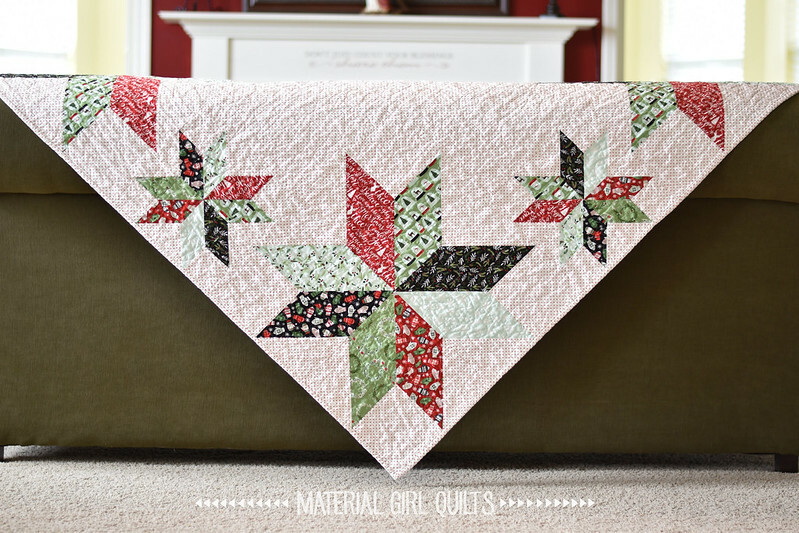 Lay out your completed stars along with the background squares and rectangle to match the quilt photo below. 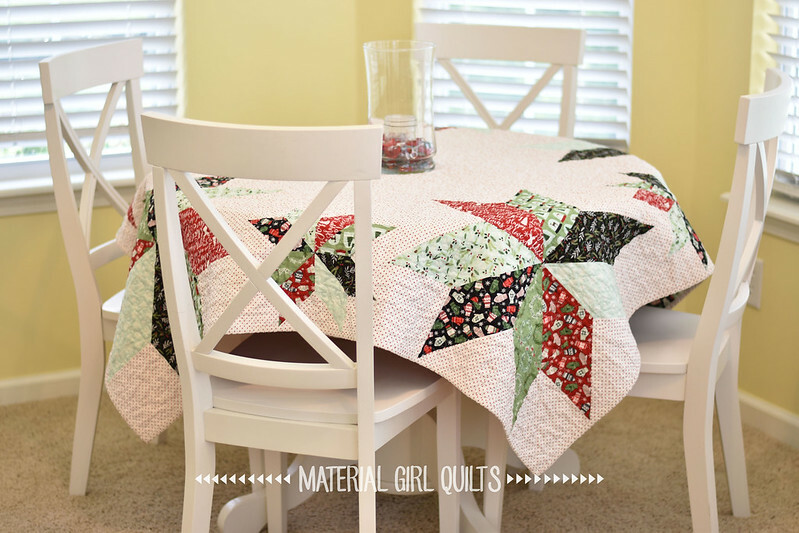 To see more projects created with Comfort & Joy, check out the full blog tour schedule below. I truly loved them all!